With the arrival of the snow comes the IRHL Winter Boot of the Year competition. 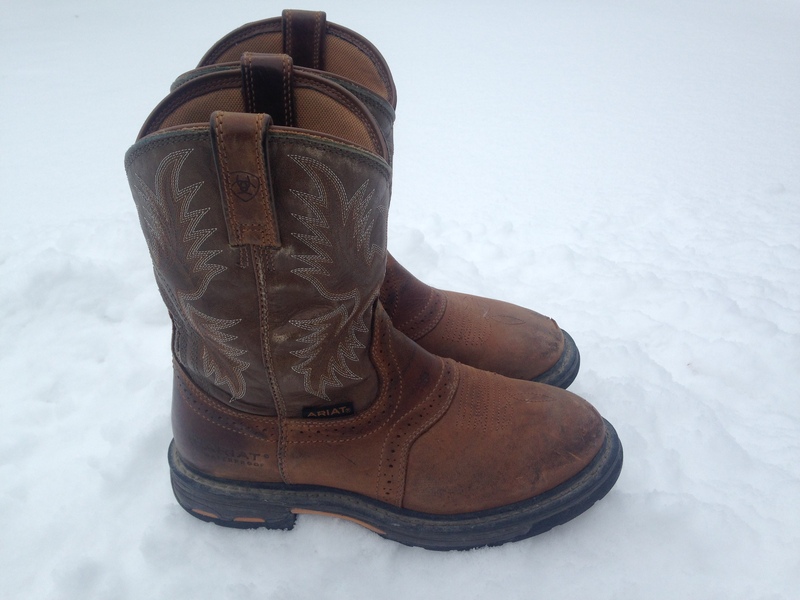 This year’s IRHL Winter Boots of the Year representative for the Aardvarks are Jason Gulay’s winter cowboy boots. The boots, manufactured in Texas and purchased in North Dakota, are worn by Gulay to honour his Midget Hockey coach Leonard Finnson. There is some stiff competition for this year’s IRHL Winter Boot of the Year. The Rifles have entered Brendan Sigurdson’s Holstein hide mukluks while the Shooters have entered Blaine Magnusson’s nine inch heeled insulated rubber boots. Aardvarks Nation wishes Gulay the best of luck!